Beginning August 1, 2015, this blog will updated daily with quotes from all the great works of the world. The works seen on this site are not properties of Literary Cobblestones and belong to the original author. We are simply here to share our favorite quotes in an aesthetically pleasing manner for the purpose of education and entertainment. Get to know more about us on “About” page, and don’t forget to join us on all our social media sites Tumblr, Pinterest, & Twitter. Want to see your favorite quote? Or are you a writer that wants to get a line of your own work circulating? 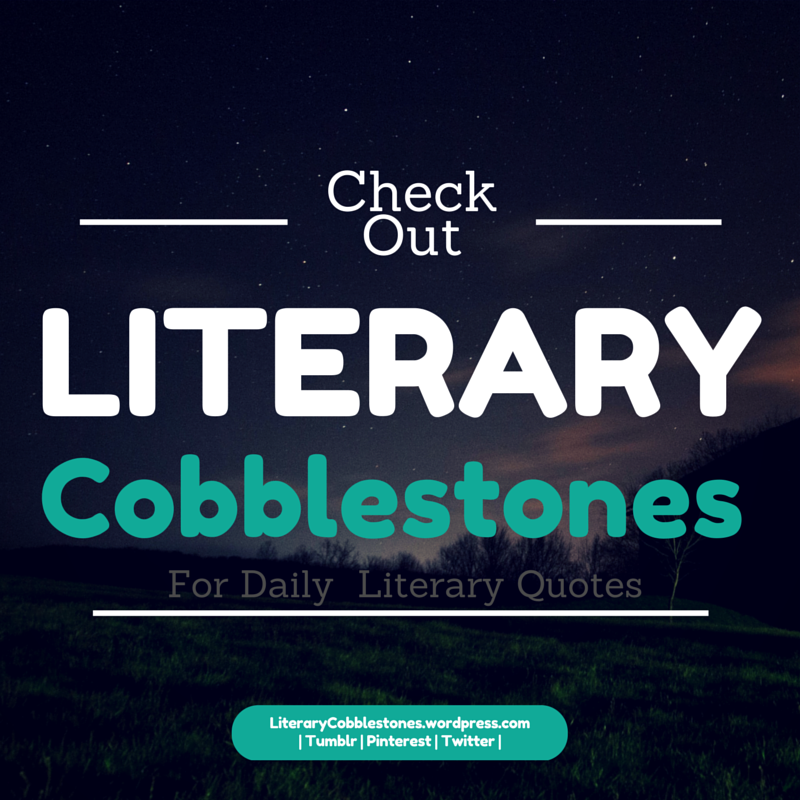 Email us (LiteraryCobblestones@gmail.com) or comment on any post with your request. If it’s your original work, be sure to give us all of your information so that we can be sure to let readers know where to find your creative genius.